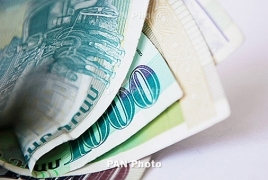 PanARMENIAN.Net - New Armenian banknotes will be put into circulation on November 22, the Central Bank has revealed. The current banknotes will not be taken out of circulation though. By the decision of the Central Bank of Armenia (CBA), new hybrid paper currency will be introduced Armenia. The CBA unveiled the sketches of the new banknotes a year ago.